Bad news for the expatriates living in the Kuwait, as the committee approves remittance tax for sending money out of the country, According to MPs it will encourage expats to spend their money in the country. 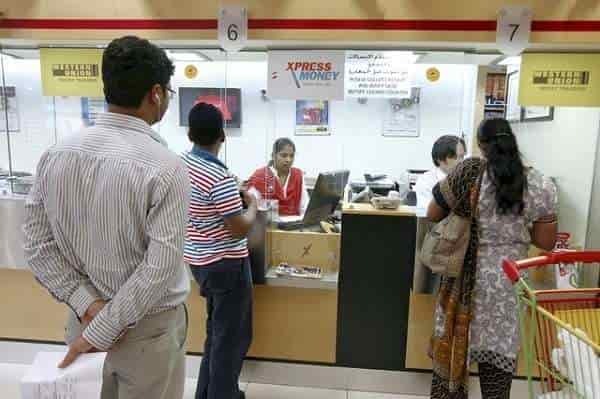 A draft law of foreign remittance tax has approved by a parliamentary committee in Kuwait by ignoring the warnings of the central bank in the country. - The financial and economic affairs committee voted 4 to 1 in favor of the draft law, which can be only become regular once it is approved by the wider National Assembly and accepted by the government. However the draft law is only applicable for expats not on citizens. - According to the bill, expats would be taxed on the money sending out of the country instead of that normal commissions and charges by banks and exchange houses on the amount of money sending. However transactions related to investment protection would not be taxed. - Transfers up to 99 Kuwait Dinars would be taxed at 1%, while transfers of 100-299 Kuwait Dinars at 2% and the transfers of 300-499 Kuwait Dinars will be taxed 3% and the 500 Kuwait Dinars or above will be taxed at the rate of 5%. - The tax would be collected by central bank and paid to the finance ministry, Those who have breached the law by involving in black money transfers will face heavy fines of double the money of the transferred not more than 10,000 Kuwait Dinars and a jail sentence of up to 5 years. - Kuwait has a population of 70% expats making a 4.5 million population and they remitted 19 Billion Kuwait Dinars out of the country in the last five years.